"Can you change your whole life in one day?" 25th Hour is a 2002 film. Spike Lee directs the movie, which stars Edward Norton, Rosario Dawson, Phillip Seymour Hoffman, Anna Paquin, Barry Pepper and Brian Cox. The film is about a man named Monty who has one day left until he has to go to prison. He has been sentenced to a seven-year term because he dealt drugs. He had been offered a deal by prosecutors to produce evidence against his drug supplier, who is a Russian mob member named Uncle Nikolai. He refused because he is afraid of repercussions from the mobster. He uses his final day to meet with people who are important to him. He goes to see his dad who suffered with an addiction to alcohol and was a firefighter. He is the person who will drive Monty to prison, and he owns a bar. He is having a hard time dealing with the fact that he was not there a lot for his son and that he will be going to prison for several years. He sneaks a drink when Monty gets up to use the restroom. Monty is very angry about the fact that he was set up and will have to go to prison. He has been told that a girl he likes named Naturelle betrayed him. Later in the film, Uncle Nikolai tells Monty how he can survive in prison. Monty tells people he fears getting assaulted in prison and asks his friends to beat him up before he begins his sentence. He ends up getting into a fist fight with one of them and suffers a broken nose and bruises. The day comes to a close with Monty dreaming about the life he would have had if he had not been sentenced to a prison term. He hopes to someday have a family with Naturelle and open a bar as well. 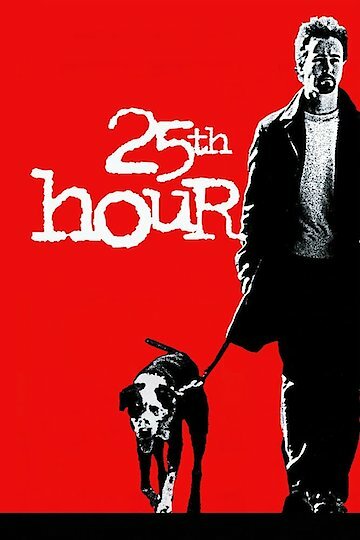 25th Hour is currently available to watch and stream, buy on demand at Amazon, Vudu, FandangoNow, iTunes, YouTube VOD online.